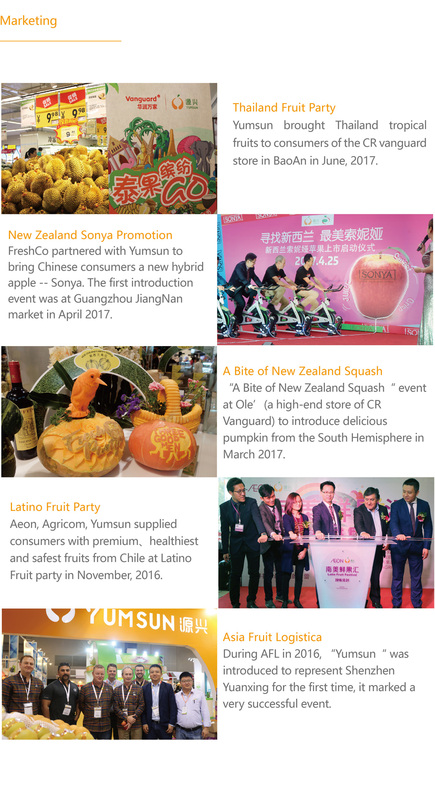 Yumsun implements vertical integration, controls every production sector and speeds up development strategy to supply domestic and global consumers with consistent quality fruits. We insists on farming management with scientific method under expertise’ guidance to ensure fruit with the premium quality and more nutritious. Sorting carefully , inspecting strictly. 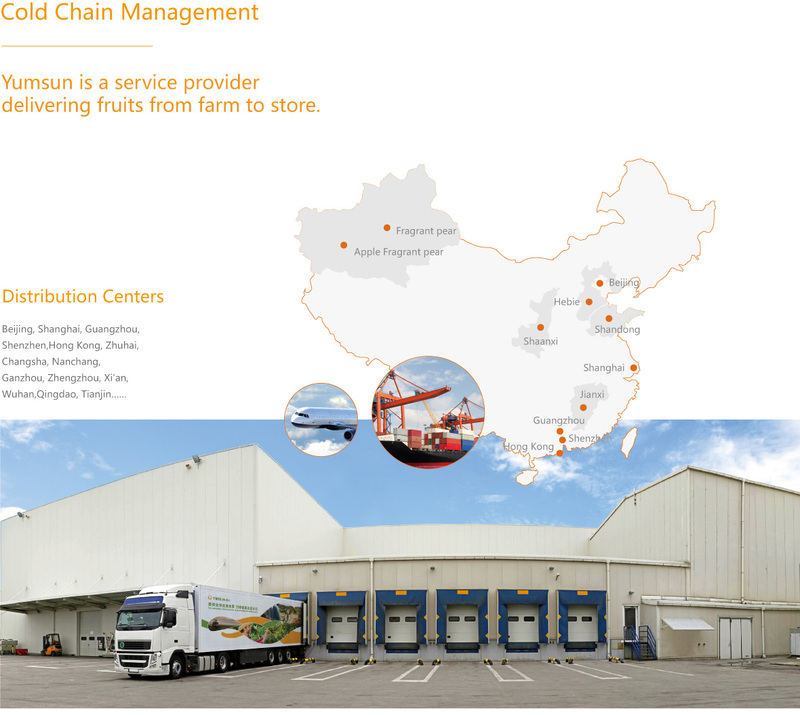 Yumsun operates 7 modern packing facilities with standardized management and production to meet the customers’ personalized needs with consistent supplement premium quality fruits. 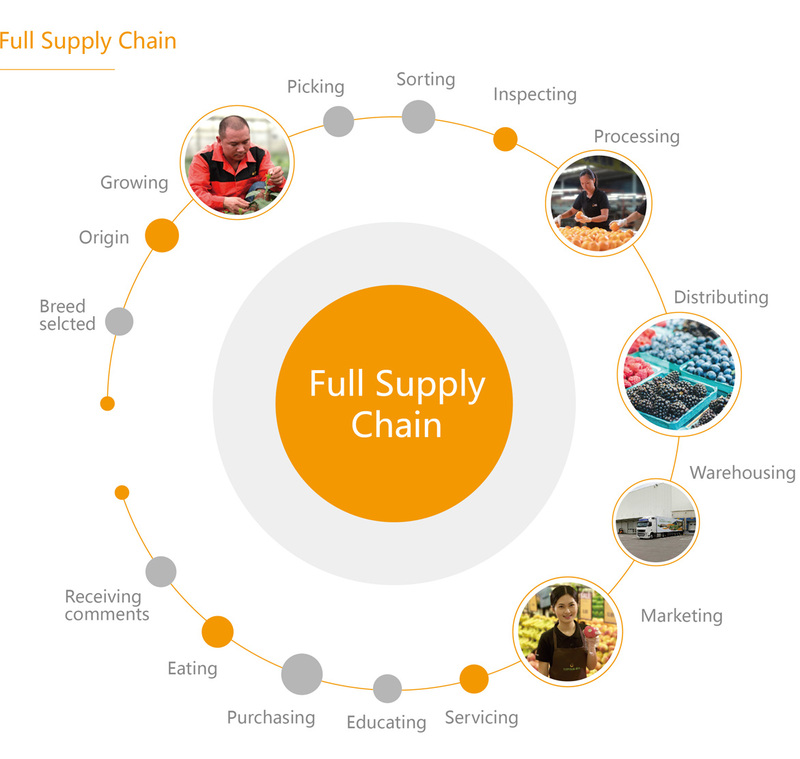 Delivering fruit from origin to store with cold chain. 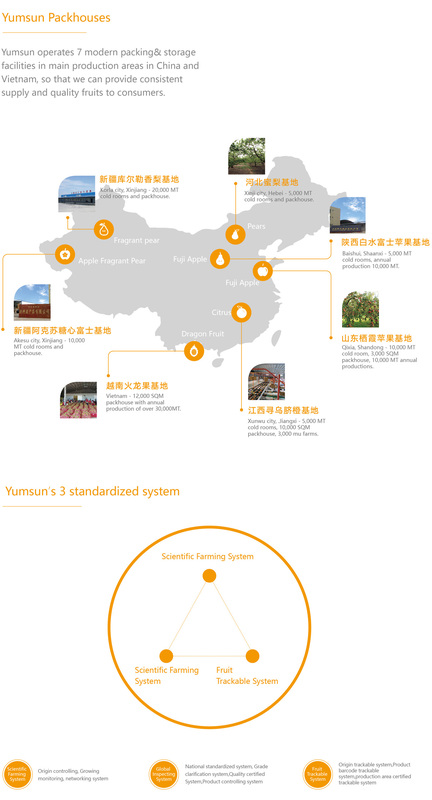 Yumsun has 20 distribution centers nationwide, providing 50,000 tons of cold storage space. With a professional logistics team, we deliver the freshest fruitsto our clients across China.